Is coffee good for your health? Many have asked me that question because the doctors have told them, but there is a lot of controversy because some say YES, and others say NO. But what will it be? let’s explain that and solve this question once and for all. Let’s start from the nutritional table of coffee to see what it actually contains, and see what things can be harmful to your health, now analyze this let’s start that is natural coffee, roasted and ground, not instant coffee, I mean real coffee. With this nutrition facts we realize that a cup of coffee only has some vitamins, proteins, and caffeine. What is caffeine and how much caffeine does my coffee have? According to Wikipedia, caffeine is: “Caffeine was discovered in 1819 by the German chemist Friedlieb Ferdinand Runge: it was he who coined the term Kaffein, a chemical compound present in coffee, a term that would later pass into Spanish as caffeine. Caffeine also receives other names (guaranine, theine, mateine) relative to the plants from which it can be extracted and because it contains other substances that appear in those cases. If you want to know more about caffeine click HERE. In the following that table we will see how much caffeine there is in your beloved cup of coffee, and if you drink from 1 to 4 cups a day you are fine all the abuse is harmful to our health we have to be in balance. Look at these statistics: Caffeine is the most widely consumed psychoactive substance in the world. In North America, 90% of adults consume caffeine every day. [Citation needed] In the United States, the Food and Drug Administration refers to caffeine as a “food substance Generally Recognized as Safe (Generally Recognized As Safe) used for multiple purposes. Now all these cons are associated with coffee but when you consume more than 4 cups a day or if you drink instant coffee, you could have these side effect. If you want to know more about these benefits and others, click HERE. But from what we see here there are more pros that make it clear that drinking coffee is very good for your health without abusing it, of course. What Type of coffee to drink? 1. Instantaneous coffee: I will not bore you with the history you can see it in HERE, but it is not good for your health because they use the discarded coffee and the pulp because contains more caffeine, also carries a chemical process and now they add more chemicals to it, thats why is very bad for your health. In these days it has become famous because all the corporation marketing plan, but believe me I do not recommend it. 2. Bad quality coffees: There is another group of coffees that are the cheapest because their quality is not the best and they are using it to prepare coffee blends, I do not recommend it either, because of it poor quality also affect your health greatly. The roasted coffee beans should have a homogeneous size, and without foreign bodies, or broken coffee beans. Preferably have it roasted at the moment and there you can perceive the fresh smell. Beware, this is the best way to buy your roasted and whole grain coffee, because when you buy it ground you do not know what you are buying, nor what they have put in there. Coffee can be bad or good at the same time everything is on you and the use you give, as explained above the benefits are great from this delicious beverage brings to your health than the bad. Just follow these tips so you do not have any health problems, and you can enjoy every cup of coffee, our body is wise and if you take good care of it, he will respond in the best way. So I hope that you clear all your doubts about this, and can enjoy your coffee without any problem. If you liked this post leave us a comment or if you need more information about a topic we will gladly expand it. Great information about the pros and cons of coffee. I drink a few cups every day and while it may not be the best, it is certainly better than what I used to drink every day; Mountain Dew. Hooray for coffee! Thanks for the post. Have a great day! I think the benefits are great for coffee. I don’t drink coffee though. I do drink a monster energy drink every morning in its place. I am wondering if the benefits are going to be the same? That would be great if they are! As a coffee lover this article is gold (even if it just gives me an excuse to drink some more of it – haha). But seriously, in this world where everything is great one minute then the worst thing for you the next, It is great to get a holistic perspective to the wonderful world that is coffee. I am a believer in everything in moderation so if I am going to have it, I agree that you need quality over some of the poorer instant option. I do hacve one question however.. We use nespresso machines and obviously their pods.. Where would these sit in your rankings? Thanks for all your advice on the various kinds of coffee there is to drink from instant to high-grade coffee. I think, like most things in life, drinking in moderation is key. I had no idea coffee reduces migraine attacks, I am a sufferer, however, my tiple is traditional tea, and gallons of it. I will have to convert to coffee if this helps. My wife Tracy will agree with the first 2 advantages, coffee wakes you up and gives you energy but if it decreases the risk of cancer and Alzheimers setting in, we all should be drinking a few cups a day. This has been a great read for me! Thanks for that. I did not know a lot of these facts and I appreciate learning that through your post. I also heard that caffeine is used in a lot of diet pills to boost your metabolism. For me – I will continue drinking my coffee. Wow, there is a lot more to coffee than meets the eye. I never put too much thought into it, but I guess I am not a coffee connoisseur like you. I do have a question though. 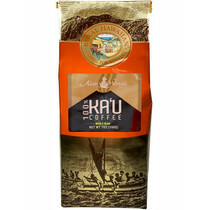 It is nice to see that you recommend Hawaiian Kau coffee. I will probably try it out. Do you have any other recommendations though? Variety is the spice of life and I want to try many different coffees. Crap… I guess I can’t keep giving my fiance grief about drinking so much coffee. Felix, this is great news!!! lol. I love coffee, but only have about 1 cup per day. I’m post-menopausal, so it gives me hot flashes, haha. I had no idea you shouldn’t drink old coffee though. I’ve been known to reheat it in the microwave.